STEELCO medium capacity range steam sterilizers VS L series are designed for laboratory applications including research laboratories, bio-containment and animal care facilities. 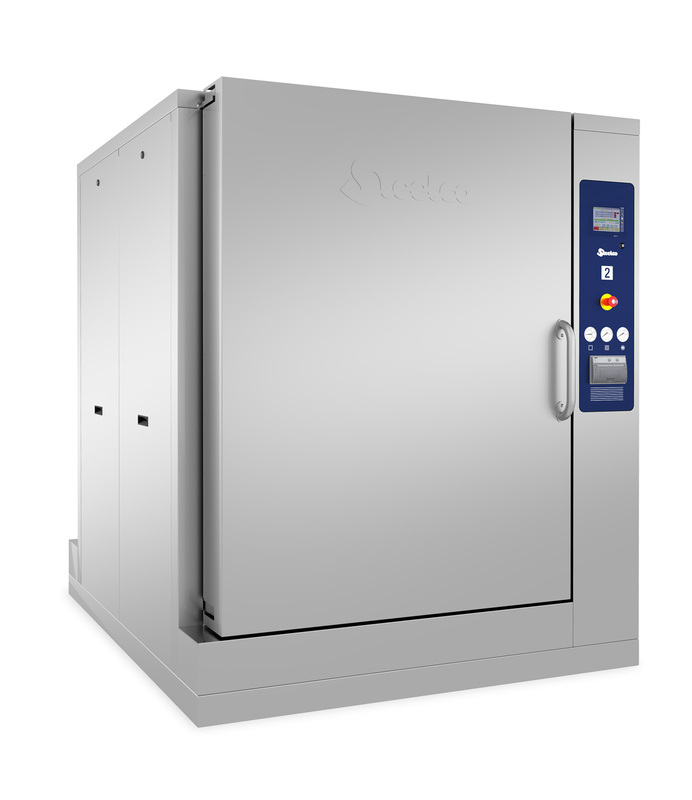 All Steelco steam sterilizers VS L range are equipped with high quality AISI 316L stainless steel pressure vessels. Pressure vessels are full jacket double-wall design and chamber cross section is rectangular with 3 standard chamber sizes. Sterilizers are available in single or double door configuration with swing or horizontal sliding doors. Doors can be manual or automatically actuated. – Automatic sliding doors are activated motorized toothed belt. A high sensibility safety bumper guarantees the safety of the operator. The system consists of a tank that collects both chamber and condensate drains. Collected water is re- circulated to feed vacuum systems. Water temperature within the tank is controlled by a thermostatic valve by adding cold water from building. Added water is triggered according to vacuum systems need, drain temperature is kept below 140°F prior to discharge. building. Water is added mainly for system start up and water consumption is reduced to nearly zero. Drain temperature is kept below 140°F prior to discharge. **ADVISORY NOTE** ECO options as well as other options may not be available for all models and subject to overall dimensions changes of the equipment. 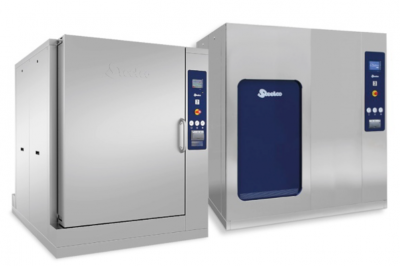 Water saving vary in relation to the autoclave chamber size and utilities. 2) Maintenance Technician: this level allows the same functionalities as “Supervisor level” but also grants the possibility to modify the parameters of the customizable cycles and a more complete access to the machine parameters. Working programs are factory set and available for the operator selection in the control panel. 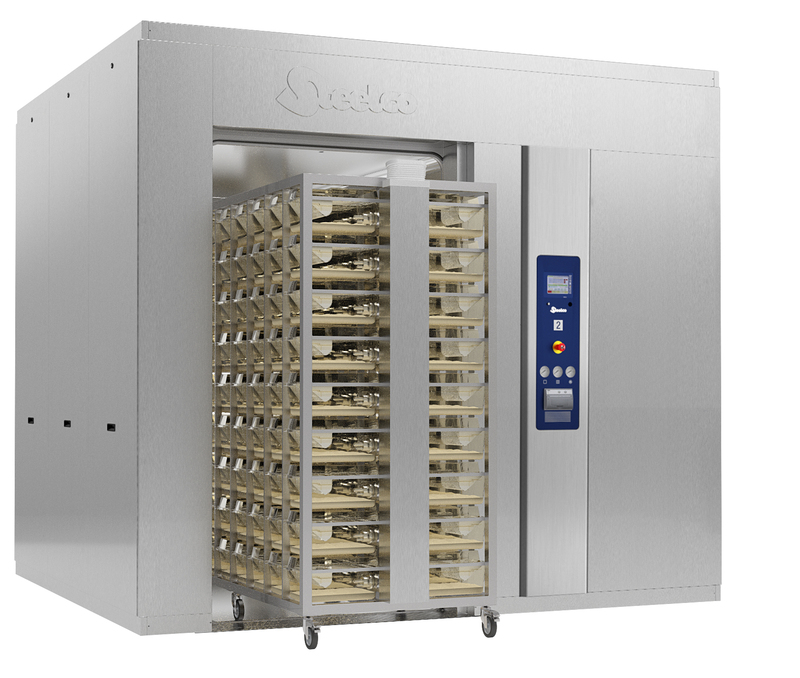 Sterilizers are factory programmed with the cycles at 275°F and 250°F. The temperature inside the chamber is uniform in every part, and the temperature deviation is less than 32°F. Once a program is started, the sterilizer automatically processes the load through a predefined combination of the standard phases below mentioned. – Conditioning – This phase is executed to reach the optimal conditions needed for a sterilization cycle as well as for a testing cycle. A series of pulses of vacuum and pressure with steam is generated inside the chamber. The last team injection will bring both the chamber pressure and temperature at the sterilization values. 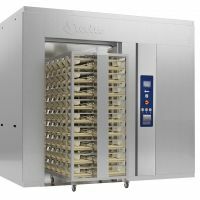 – Sterilization – The temperature and the pressure of the chamber are maintained constant for the needed sterilization time. – Drying – The vacuum is continuously created into the chamber for a specified time; at the end, the atmospheric pressure is re-established. Additional cycles can be customized. 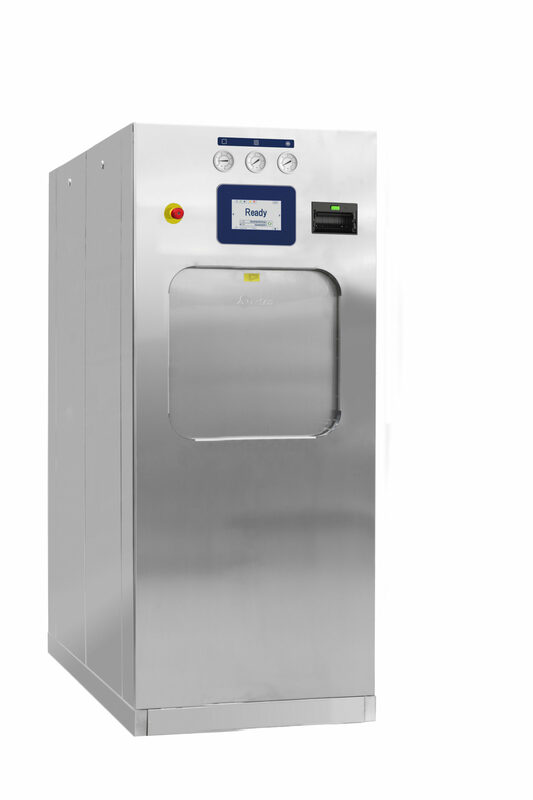 For efficient, high-volume sterilization of porous, heat- and moisture-stable materials. Prevacuum cycle utilizes a mechanical air evacuation system. 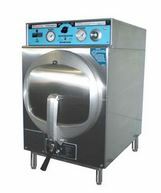 For efficient, high-volume sterilization of heat-sensitive materials. Prevacuum cycle utilizes a mechanical air evacuation system. –Effluent decontamination cycle*: This cycle is used for processing contaminated items; condensates of the chamber are not discharged to prevent harmful pathogens and viruses from exiting the sterilizer during the exhaust and vacuum phases of the sterilization chamber and prior to sterilization time and temperature requirements are met. The drain is controlled by an hydrophobic 0.08μ inch filter and both filter and condensate are sterilized during the cycle. –In Situ air intake Filter Sterilization cycle: This additional factory pre-set program is used to sterilize the chamber air intake filter while it is in place. The program will automatically sterilize the filter with no user intervention. The hydraulic configuration comprehends additional valves, temperature probe and condensate drain system. This program is applicable with both the Disposable HEPA Filter and the Stainless steel HEPA Filter with disposable cartridge. –Low temperature cycle (Isothermal or F0): In this cycle the exposure length is based on a settable value for the total accumulation of F0 during the charge and exposure phases. The cycle is completed when accumulated F0 value is reached. 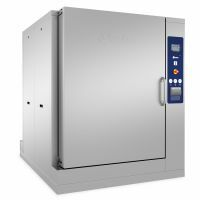 Bio-Seal Frame: this option is designed to hermetically seal the autoclave and prevent the ross contamination between contaminated and non-contaminated areas. 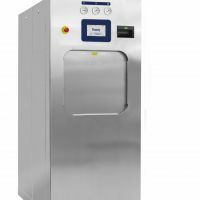 It consists of stainless steel panels that are hermetically sealed by means of a special silicone on the autoclave body. – Free contacts (for critical alarms): these relay contacts (also called “dry contacts”) can be used to signal alarms or to provide information on the cycle status.